Come September 20, Guardians will discover the fate of the Iron Lords when Destiny‘s fall expansion launches bearing the title Rise of Iron. That’s according to a now-pulled post spotted on Bungie’s official page, seemingly revealing that the add-on – one set to be similar in size and scope as last year’s The Taken King – is on course to drop in the fall. Crucially, though, the studio’s latest slice of DLC may only deploy for PlayStation 4 and Xbox One. 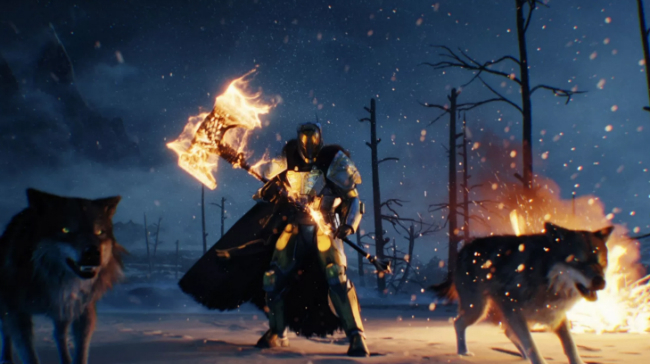 Due to be revealed via Twitch tomorrow, June 9, the artwork included with the leaked article once again features Iron Banner boss Lord Saladin, flanked by two snarling wolves. 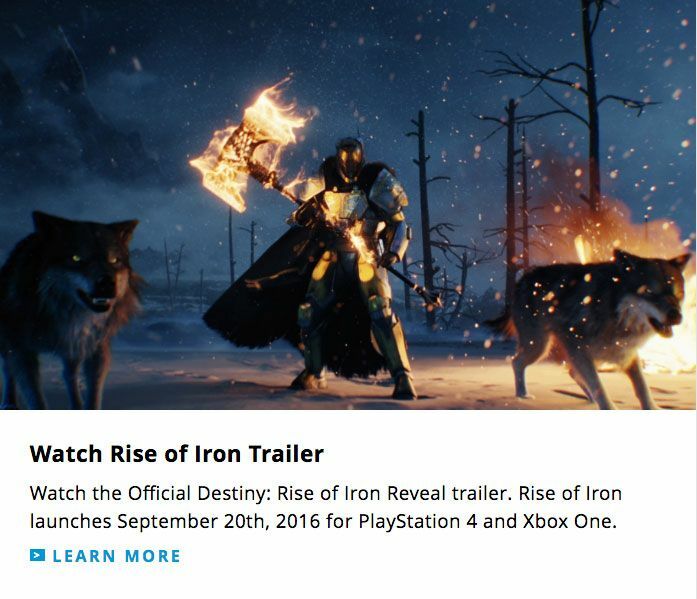 Indeed, the post falls in line with previous rumors regarding Rise of Iron, which is seemingly primed to whisk Guardians back to Earth, after years spent dealing with Oryx and his relentless Taken army. As for as the expansion’s release plans are concerned, the jury is still out on whether Rise of Iron will be exclusive to current-gen systems. Given Destiny‘s giant install base, one scattered across all four consoles, it would seem foolish to alienate those who own the shooter across Xbox 360 and PlayStation 3. Then again, if Bungie is looking to up the ante with the September add-on – both technically and in terms of gameplay – perhaps it’s time the studio doubled down on the current-gen versions? Tune into Bungie’s Twitch channel tomorrow, June 9, at 10am PT/1pm ET/6pm UK to catch the official unveiling of Destiny‘s September expansion.